Akaal Premier League 2016 draws a bigger crowd at its new venue, futsal field at Gurdwara Sahib Jalan Kg Pandan, Kuala Lumpur. This is the second season for Akaal Premier League (APL). After its successful stint in December 2015, with six teams from Klang Valley and one from Bukit Beruntung, three additional teams have stepped forward for the challenge. And the football league for the Sikh youth has a new venue for this season, making it all the more interesting. On a sunny Sunday morning of 17 July 2016, APL kicked off its second season with full action at the Akaal Arena, the futsal field at Wadda Gurdwara Sahib Jalan Kampung Pandan in Kuala Lumpur. You can see the Petronas Twin Towers – once the tallest twin-towers in the world – from the spot. Nine teams and presence of their supporters at the futsal field made it an eventful morning. To top it up, the gurdwara sewadars served hot parathas with saag and acar. Plus a never ending supply of hot cha and energy drinks til noon. They even served lunch. It made a lot of sense to have the APL in the gurdwara compound. It is a friendly place for all to attend and watch the league. Unlike last season, where only those directly involved with the APL were present for the matches, a dozen more were seen at the futsal arena this year. 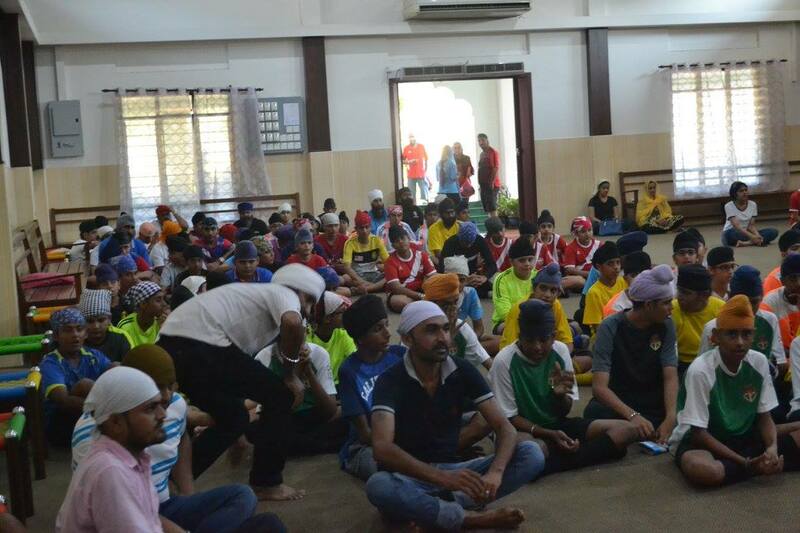 Youth living close by popped in just to hang out in the gurdwara and watch the matches. “I had nothing to do, so I decided to come over,” one youth told Asia Samachar. Many parents with young toddlers were also seen at the gurdwara. They just wanted their children to have an experience of the league even if they were too young to participate. A good way to attract youth. Anyway, isn’t that what the gurdwaras are meant for? A place for the Sanggat (congregation) to congregate, be it for spiritual or other reasons. Many gurdwaras have been mushrooming around Malaysia. Most with bigger and better designs but whether these are serving the sangat to the optimal level is something we need to discover. Without a doubt, all these gurdwaras do what they’re meant for, to be a home of worship. But is that all they are meant to be? I may not be the right person to be talking about what Gurus had in their minds when they built gurdwaras but I’m pretty sure it wasn’t only for religious purposes. To prove this point, some gurdwaras have already opened their doors to activities other than prayers. They run Punjabi classes, waja and tabla lessons, to name a few. Bravo to the Akaal Sports Academy coordinators for their decision to take this season’s APL to this new venue. Lets hope more gurdwaras would start offering more exciting activities that would draw our youths and adults alike, to return to gurdwara during their spare times.